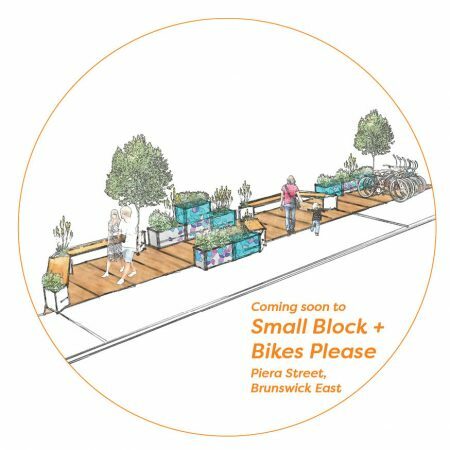 Small Block and Bikes Please are hosting Moreland’s first pop-up parklet! This parklet installation is a pilot project which seeks to reclaim vehicle based spaces and return them to pedestrians as public open space. These spaces can then be used to host activity and provide much needed open space to the community. A parklet is a structure which is located within street parking bays. This little ‘park’ re-purposes part of the street into a space for seating and planting. Parklets help to add diversity to the street and provide new public spaces. Although parklets are hosted and maintained by a local businesses, they are public space. Moreland struggles to provide open space in the densest areas within activity centres.This location was identified as an unserviced area of open space. 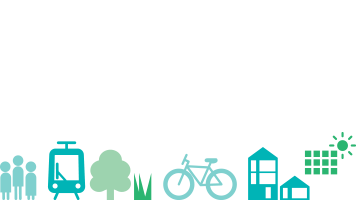 According to our Moreland Open Space Strategy, pedestrians in this street are more than 300m walking distance away from the nearest public open space.